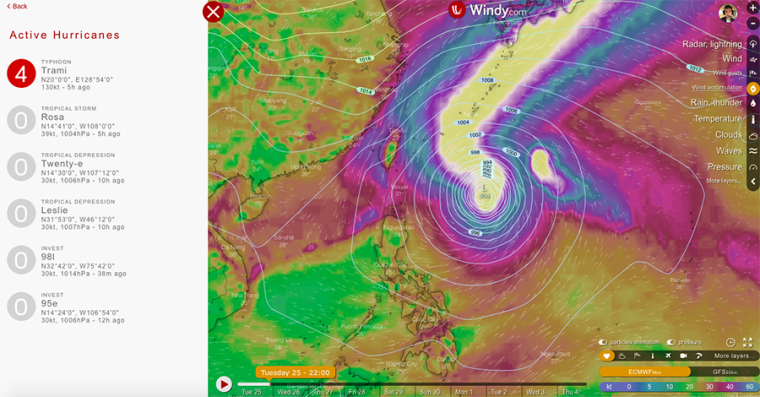 Track All Hurricanes with Windy! 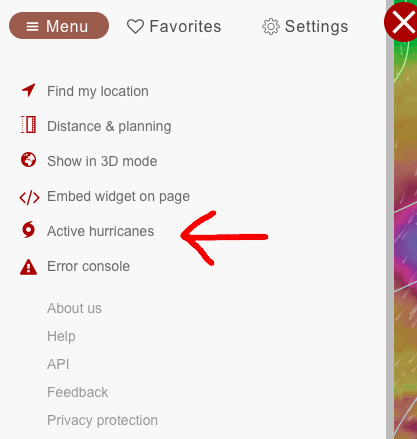 Yet another improvement of Windy is here: the "Active Hurricanes" feature with the whole track view! From now on, it is much easier to locate tropical storms with this practical and very sophisticated tool. Just click on the name of the one you want to track, and it brings you to its location on the map. You can also get some more detailed info about the wind storms (events) such as their type, the category (it is the number in the circle), their coordinates, and their speed. 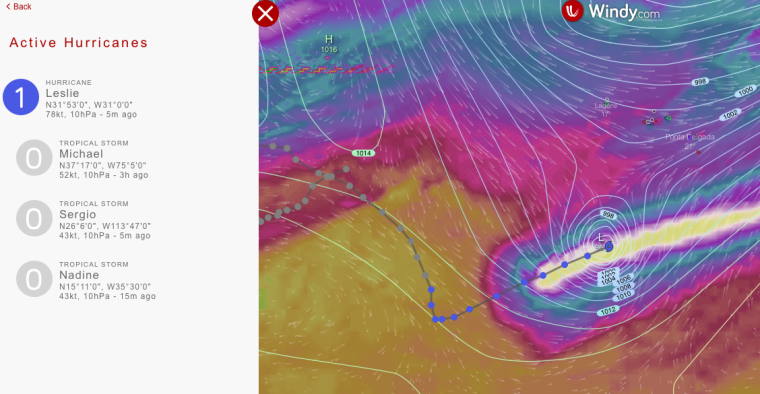 We also added a tool that helps you see the previous track on the map, so now we are able to see the whole track of any hurricane together with its current position and all the corresponding data. Stay safe and give us your feedback!